Today’s patrol was pretty nice in our brand new Land Rover Defender 110. We just picked it up yesterday! We had to go out and check on the trails after last night’s rain. Reports from the morning patrol found everything in good shape and deemed the trail clear and open. After a short run, we found a few small trees and branches down, but nothing too obtrusive. They were easily cleared away. The bridge was in great shape, and the water levels were normal. Nothing to worry about here. The rougher parts get a little tricky some times, but the Defender doesn’t back down! Flood zones are clear. Water levels still normal. Looks like the rains weren’t as bad as they were forecast to be. Getting deeper in, we got to more root-heavy section. No worries though. Locking differentials make this a breeze! WOOOO! Three-wheelin’ it! Gimme a high-tire! Coming back down. You can see the path the water took coming down the trail, but at least it took the majority of the debris with it. Everything still looks clear to me! Heading back we encountered a few mountain bikers who absolutely loved the Defender. Ride safe and happy trails guys! Final report: Trail is all clear and the Defender performed great. No issues whatsoever. That’s exactly why we chose this truck. 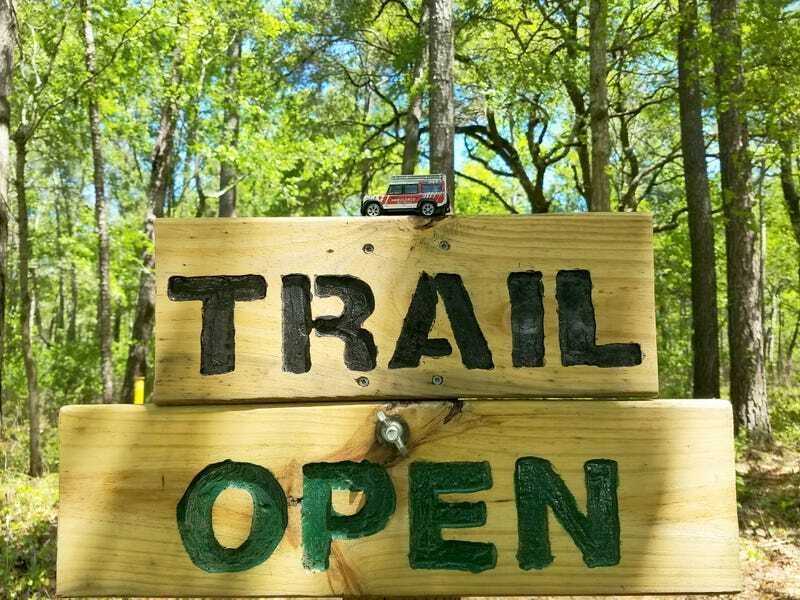 Hope everyone has a great rest of the day on the trails!